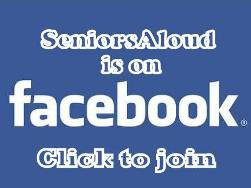 SeniorsAloud: HOW PREPARED ARE WE FOR AN AGEING SOCIETY? Do we have the necessary system and structure in place to support an ageing society? “A society for all ages encompasses the goal of providing older persons with the opportunity to continue contributing to society. To work towards this goal, it is necessary to remove whatever excludes or discriminates against them.” – The United Nations’ 2002 Madrid International Plan of Action on Ageing. AS A developing nation, Malaysia puts a lot of stock into our youth – they are, after all, the fuel that will power the country’s future. Policies and initiatives involving or aimed at the young play a major part in our nation-building, and investing in our youths is viewed as an investment in our future. The other side of the coin, however, does not see nearly as much exposure. 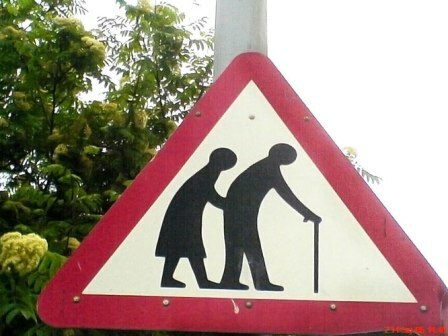 Malaysia currently has about 3 million senior citizens, and the number is rising. UN statistics show that Malaysia is likely to reach ageing nation status (where the number of people above 60 make up at least 15% of the population) by the year 2035. In other words, we have only about 25 years to put into place the necessary systems and structures that are required by a society that includes a significant number of elderly citizens. Population ageing is caused by two factors: declining fertility rates and increasing longevity. People are living longer due to socio-economic developments and improving medical technology. At the same time, families are having fewer children due to reasons such as an increase in working women who have fewer children, and limiting offspring to provide a better quality of life for them. Assoc Prof Dr Tengku Aizan Hamid, director of the Institute of Gerontology at Universiti Putra Malaysia, points out that it is critical to note that populations are ageing much faster in many Asian countries. “For example, France took 120 years to double its population of elderly to 14%, while Singapore only took 18 years,” she says, adding that population trends show that Malaysia’s number of elderly will have increased by 277% between the years 2000 and 2030. “Social institutions, however, are slow to respond to changes in demography,” she says. As our society gradually shifts into one with more middle- and old-aged people, many wide-reaching changes need to be amended, in areas as varied as health, finance, employment, education and social relations. To spearhead these changes, government involvement is imperative. Currently, senior citizens come under the purview of the Women, Family and Community Development Ministry, specifically under the Social Welfare Department. As Tengku Aizan points out, however, an ageing population should not be approached from a welfare perspective, but rather, a developmental one. 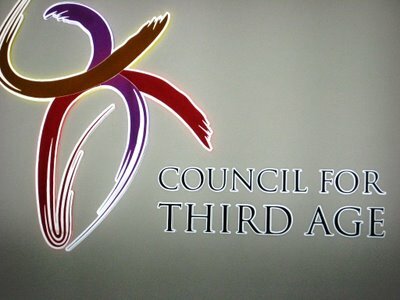 “Becoming an aged nation touches on all aspects of society, and so we must have a holistic view of the issues involved. Only a small percentage of the elderly need welfare. The approach taken needs to cover many different areas of a person’s life,” she says. Dr Bharathi Vengadasalam, a council member of the Malaysian Healthy Ageing Society, agrees. 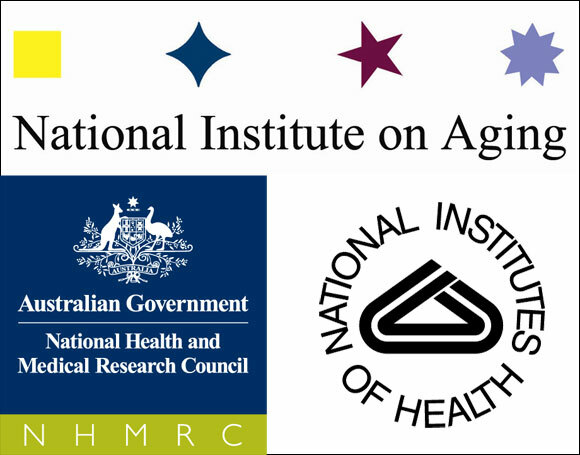 Australia's National Institute on Ageing and Singapore's Council for Third Age. Time we had something similar in Malaysia? She suggests that a national institute of ageing needs to be set up to make it easier to gather data and lobby for policy changes. “It’s not just about ageing per se, but about what structures are put in place. Many different angles, such as physical, enviromental, legal and sociological, need to be considered,” she says. On the home front, a major cause for concern for many families would be caregiving. Coming from an Asian society that values filial piety, it is usually taken as a given that children will look after aged parents. However, with families becoming smaller and the gradual erosion of the joint family, this may become more difficult than anticipated. The financial and physical burden of taking care of an elderly (and in some cases, two or more) parent could well prove to be beyond the children’s means. After all, we have cases of the elderly being abandoned at old folks’ homes or hospitals. One problem is the lack of good quality, affordable care for the elderly in Malaysia, which accounts for the stigma against homes for the elderly. This is a very different scenario from many developed countries, where senior citizens who are financially independent often make a choice to move into a retirement home or are able to support themselves. The difference, it appears, is one of empowerment. “I wish people here would be more empowered to decide what will happen to them. Of course, there need to be certain policy changes on a governmental level, but people also need to put provisions in place for their later years,” says Malaysian Healthy Ageing Society’s Dr Bharathi, who specialises in geriatric psychiatry. Lawyer Ranuga Devy, who is honorary secretary of the Malaysian Healthy Ageing Society, and who educates people on the legal aspects of ageing, says many parents often spend all their savings on their children, only to struggle financially later. “What happens after we retire? If you were a government employee, you get a pension, and for others there is the Employees Provident Fund. But how long can EPF savings last, and who’s to say any of this money is actually being used by the retiree himself? “Why can’t we come up with a viable scheme where they can invest these savings, and a portion is given back to them periodically?” she says. Healthcare is another aspect that often deals a financial blow to both the aged person as well as his or her family. “If you’re not a government employee, you’re not eligible for state healthcare,” Ranuga points out. In her opinion, to deal with the demands of an ageing society, every citizen should be eligible for free healthcare after a certain age. “It could even be made compulsory for every senior citizen to get annual checkups for free,” she suggests. Dr Bharathi adds that when dealing with geriatric care, a multi-disciplinary team is essential. “We’re currently ill-prepared. Abroad, a doctor, an occupational therapist and psychiatrist would all be part of the team,” she says. Furthermore, stronger regulations are needed when it comes to homes for the aged. Instead of grouping all homes under the banner of “old folks’ home”, it may be more useful to look into having different levels of homes to cater to different needs and wants, such as independent, assisted and dependent living. Dr Bharathi points out that if such high quality homes were available in Malaysia, they could relieve families of the physical burden of caring for an aged parent, freeing them to be more emotionally available. “It’s not so much an erosion of family values, but a changing society. With people having fewer children and fewer people at home, it is more difficult to give care to aged parents, even if they may try really hard. Many caregivers struggle with their responsibilities,” she says. To make this option a reality, much work needs to be done. For a start, aged-care homes need to be properly monitored. Staff working in the homes should have the necessary skills and certification. In developed countries, aged care is figured into taxes or other reimbursement schemes. 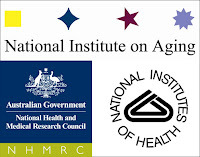 In the United States, for example, nursing homes are reimbursed by Medicare, a federal programme for the aged who contributed to the programme when they were employed. 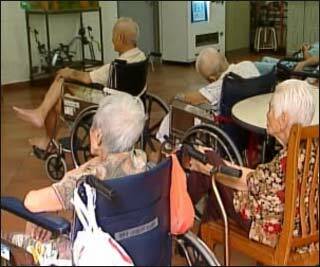 Calls have been made by various parties, including the Malaysian Medical Association, for the Government to introduce an Aged Care Act, but there is yet to be anything substantial. Equally important, however, is ensuring quality of life for the elderly. This, ideally, should incorporate everything from their living conditions and comfort to their social network and mobility. 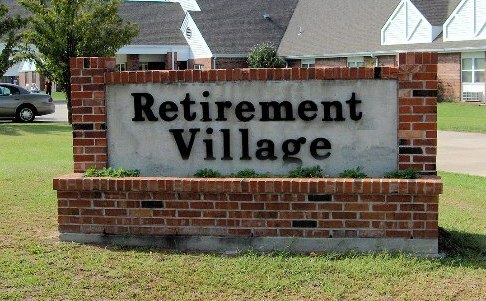 Singapore and Japan, for example, have geriatric-friendly housing. In Singapore, these are in the form of HDB flats boasting features like fire-proof doors, bathrooms with grab bars, and emergency buttons in each room. Additionally, each building has a doctor on standby. Japan’s government has adopted measures to promote houses following similar guidelines, including extra loans and preferential interest rates. The establishment of “senior citizens’ villages”, with elderly-friendly housing and public amenities, could be another option. 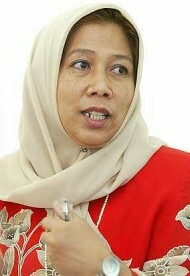 Tengku Aizan furthers asserts that public spaces should also be elderly-friendly. “Our current public spaces are not safe for both the elderly and the disabled,” she says. Ranuga uses countries like Australia as an example, pointing out how their public transportation systems are conducive to the elderly. “This is essential to allow them to lead an active life. 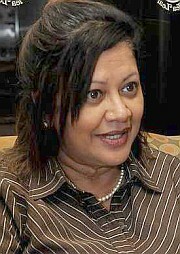 If (the elderly) are not kept engaged, they can become a burden to society,” she says. Performing a Chinese fan dance at a Senior Citizen's Club annual dinner. 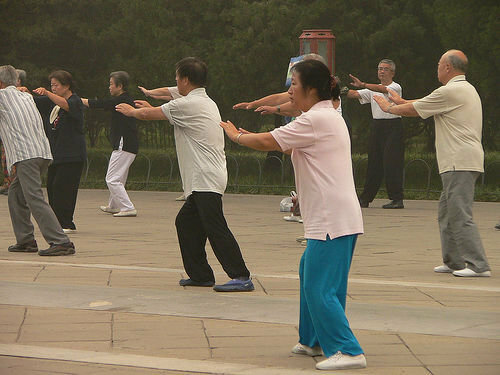 Community-based programmes are also important when it comes to dealing with an ageing population. “More senior citizens’ clubs would definitely be good,” says Dr Bharathi. 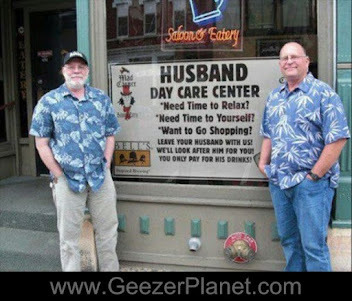 Community efforts can even help with caring for the aged, for example, by setting up an adult daycare, a service which is available in the United States. 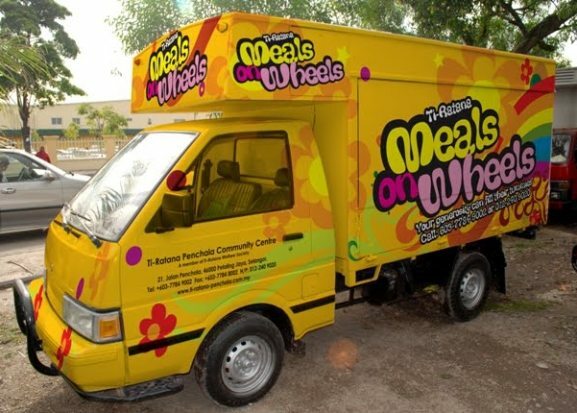 Voluntary programmes like Meals on Wheels, on the other hand, which are running in Australia, Britain, the United States and Canada, deliver meals to individuals, mostly elderly, who are home-bound due to their physical condition. “Most of these countries (quoted as examples) are developed countries, that’s why they are focusing on these issues,” says Ranuga. 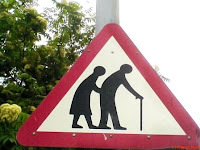 For Malaysians, we need a change in government before we can hope to have any changes in the care for the aged. I thought I could find the answers by checking the website of the Ministry of Women, Family and Community Development @ http://www.kpwkm.gov.my/warga-emas but was disappointed. The National Policy For the Elderly contains a lot of wishful ideals and objectives (and also a lot of English mistakes) but no relevant specific measures or plans of action to implement those ideals and objectives. Ben, yes, it's truly frustrating. This is my predicament whenever I need some local data for my articles. The websites of virtually all our ministries. are a disgrace. No wonder people don't bother to visit them. It's a waste of their time. I think some form of 'activism' among the still independent retirees are needed to prod those power that be to wake them from their slumber. It is our right to a dignified retirement whatever stations of life we came from, plumbers, fishermen, garbage collectors, teachers, technicians. We build the nation. 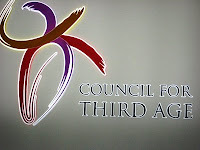 Tried to fine comb through for some inkling of how they are going to deal or address our ageing society. 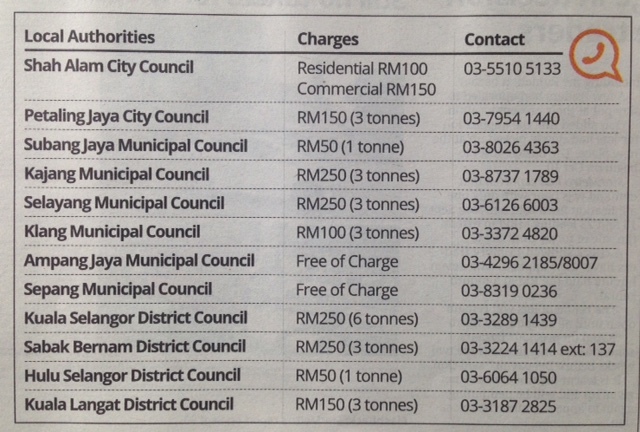 Well they gave something - RM300 to Rm150 passport processing fees and some dialysis machines. Maybe they feel that it is all rosy and well among our retirees or they think that we are going to vote for opposition anyway. So why bother. 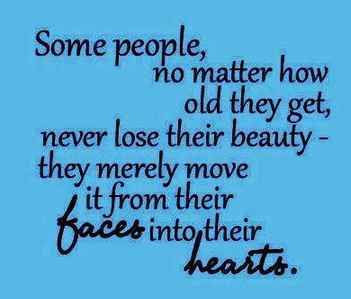 The trouble is we seniors are not speaking up and make our presence felt or maybe we are resigned to accept that it is something we cannot change and accept whatever crumbs they throw our way.